Imphal: Congress’ Manipur unit has accused the BJP of putting up an insurgent-backed candidate for a Lok Sabha seat here and compromising national integrity in a bid to win the upcoming elections at any cost. The saffron party has rejected this charge by calling it an attempt to malign the party. BJP’s candidate H Shukhopao Mate for the Outer Manipur parliamentary constituency, which goes to polls on April 11, has been accused of being backed by insurgent groups in the state — Zomi Re-unification Organisation (ZRO) and Kuki National Organisation (KNO). The two outfits, which have signed “suspension of operation” agreement with Government of India (GOI) and are currently in peace talks, are reported to have written separate letters to BJP president Amit Shah, asking Mate be given the party’s ticket. Mate is vice-president of the BJP Manipur unit and is in charge of the party’s Scheduled Tribe Morcha. “It is not just the Congress but everyone in the state is aware that he (Mate) is backed by insurgent groups. He has been chosen based on just winnability factor and to win at any cost by the BJP,” Congress Manipur spokesperson M Prithviraj told PTI. He further accused the BJP of “compromising on the principle of national integrity” by succumbing to pressure from insurgent groups. “The BJP giving the ticket to Mate shows that they don’t have any such principle and all that they want is to win at all costs, irrespective of the background of the candidate,” Prithviraj added. 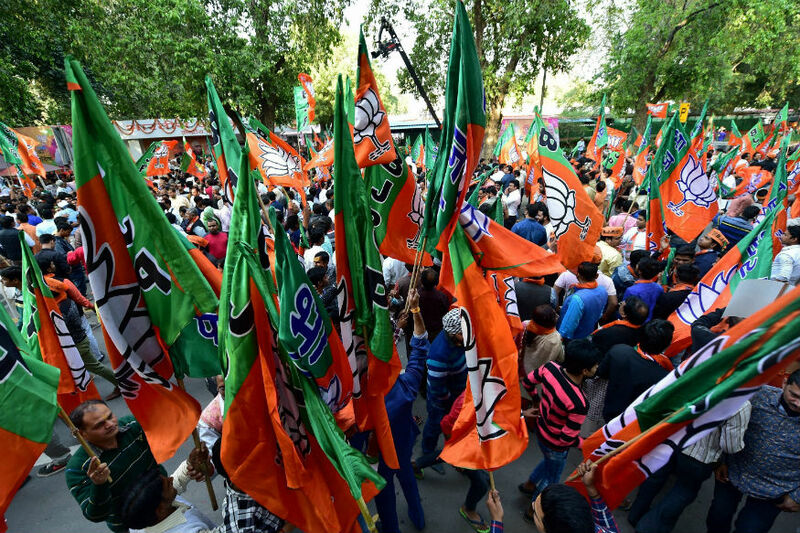 The BJP, however, denied the allegations saying that media reports of Mate being backed by insurgent groups were an effort of “some vested interest” trying “to malign the image of the party intentionally”. “As of now, whether insurgents supported who or whom is not an issue for us. Above that the party did not have any knowledge about issues which you wish to have views of,” BJP Manipur spokesperson Ch Chidananda Singh said when reached for comments on the Congress’ allegations. While the Congress is yet to announce its candidates for the two Lok Sabha seats in Manipur, the BJP has made the announcement for both. RK Ranjan has been named as the BJP’s candidate for the Inner Manipur parliamentary constituency.